rebuilt over the last two years. fresh paint on hull, deck, mast, boom. new dodger. new chain plates.new toe rail and floorboards.all exterior wood refinished. interior:all wood,cabinets, counters,shelving,and interior of hull refinished. replumbed: new pumps,new tanks, hot/cold water,salt or fresh on deck. 75 gal. fresh capacity. inverter added. double berth added. 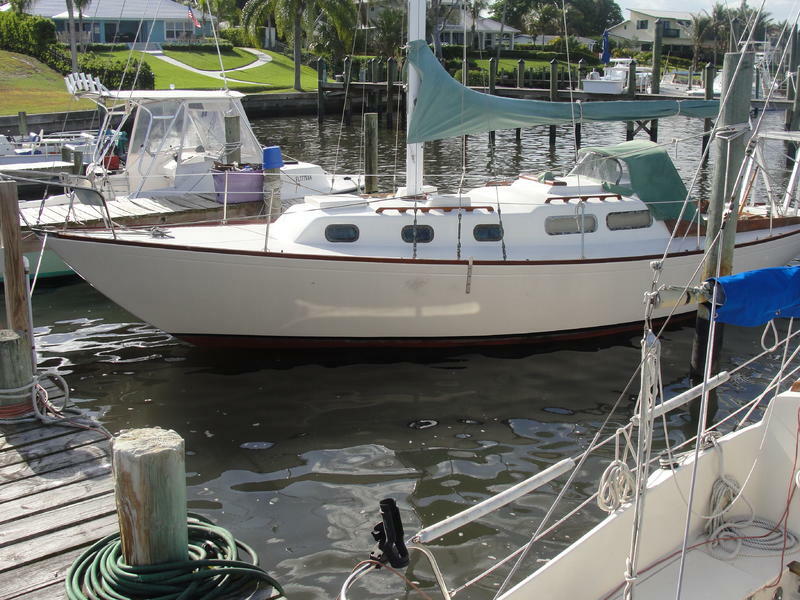 rebuilt for long term self contained cruising. looks great, runs great,sails great. new engine. chart gps, depth, vhf, am/fm radio,400 watt solar system, h/w heater,new dodger. new davits. 6 sails. bronze centerboard. merriman winches. bruce and danforth anchors. 150 feet chain. hundreds feet of rode.